I’m a wee bit late on posting this, but I don’t care. If you have a problem you can just put it in your pipe and smoke it. Literally. As is customary with most smokers, my sister-in-law and I sat down after Thanksgiving dinner and lit one up before tackling the mound of dirty dishes. We chatted about how great the food was and how grateful we were. I then wondered, if after the First Thanksgiving, the Indians passed the peace pipe with the Pilgrims as their bellies settled? …who turned 17 on Thanksgiving this year, decided to share a birthday present she received from one of her friends. It was a hookah pipe; which she claimed she would not smoke tobacco out of because she was not old enough and especially not cannabis, as it is illegal (yeah, and pigs fly). Anyhoo, we said bring it on. 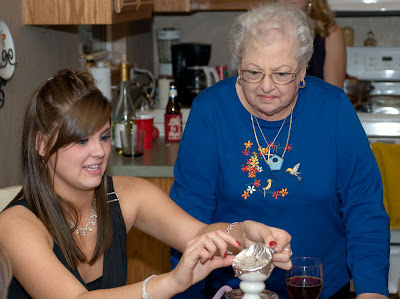 Here’s Rose (SIL’s grandmother) checking it out with her great granddaughter. 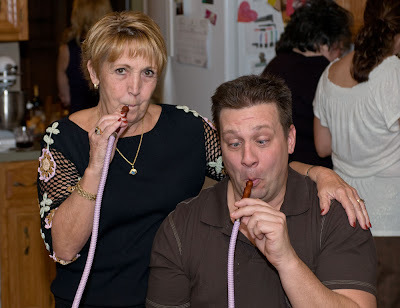 Now out of a group of twenty odd people my sister-in-law and I were the only smokers, but it was amazing how many wanted to ‘pass the peace pipe’ knowing it was only filled with a watermelon flavored herbal concoction. After almost everyone tried it (including my father! ), Rose remained adamant. There was no way on God’s green earth that she or her husband Hank, were going to participate. …a voice from the family room whispered, “Pass it over here, Honey, I’ll give that thing a try.” And to Rose’s dismay, Hank joined in. Now in years to come and as memories fade, I may not remember if the turkey was moist or who made the pumpkin pie. I won’t recall whether there was snow on the ground or if the temperature was mild. And I’m sure I’ll overlook that I probably gained 5 pounds. I LOVE this post!! Hookah is awesome. Hookah Hank rules. You have such a fun family. And your niece is stunning! I hope to something sacred that I am just like Hank at his age -- I want to try everything at least once! LOL! That is awesome :) I would never forget that either. My little bro swears that opening a "Hookah Bar" would be the best business decision his 21yr old mind could ever make... apparently they are all the "rage" right now! Yep, those things are quite the rage around here too. It's a little fun and a littel silly too, you know. OMG, what a riot! Your niece is beautiful! Wow...you need to lock her in a room until she's 80! J/K. Sounds like a fun family! 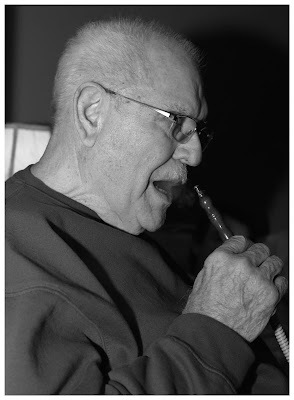 ‘Hookah Hank’ ROCKS! That is awesome. And your niece is BEAUTIFUL. Very very pretty girl. HAHAHA! This is too funny. Love your blog. Ok, your niece it totally gorgeous and GO HANK!!! This is so not fair!!! 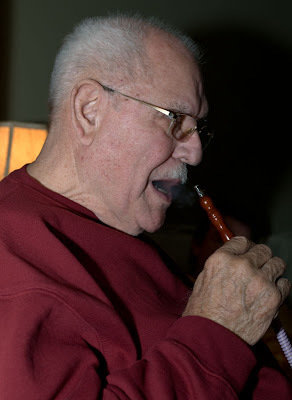 I miss one holiday because my daughter was sick and you guys bust out a hookah!! Hmm... Holiday Hookah. Now THERE'S an idea for tradition. "Put that in your pipe and smoke it" is one of my favorite expressions. So is "smoke-um the peace pipe", although it's probably unacceptable to actually say it. Might offend the .5% of the population who're Native American. Don't ask me how I came to use those expressions - I'll just have to take the 5th. A new hookah bar opened right down the street from us. I always wondered about it : ). Now I know! I love that Granpa! He looks SO cool and fun!